Thread: Sui Dhaaga: Varun, Anushka's special date! 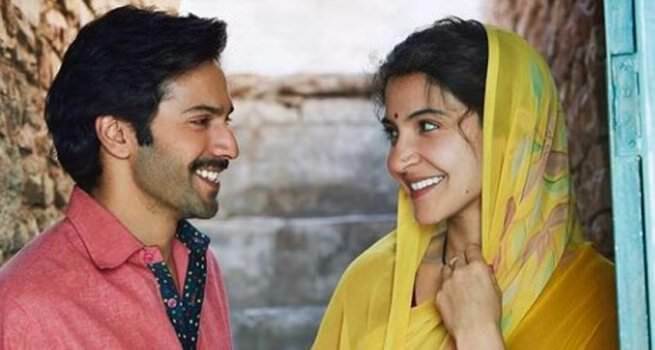 Not many know that Varun Dhawan plays a tailor in his next, Sui Dhaaga while Anushka Sharma portrays an embroiderer. Now, in the latest instance, we have learnt that the two actors are set to launch their film's promotional campaign on National Handloom Day (August 7). "Yes, since Sui Dhaaga celebrates entrepreneurship and the empowering impact of self-reliance, its campaign will kick off on National Handloom Day of India. Varun and Anushka's characters celebrate Indian craftsmanship that is famous across the world. So, there couldn't have been a more fitting day to start the promotions," says an insider. It is a "conscious decision" of producer Maneesh Sharma. "Our film is a salute to the bold entrepreneurs, self-reliant workforce of the country including artisans, craftsmen, weavers and the grassrootlevel contributors, who are contributing to India's surging indigenous arts and crafts industry. So, we've decided to launch our campaign on a day dedicated to the skilled entrepreneurs of our country," he said. The National Handloom Day is observed annually on August 7 to honour the handloom weavers in the country. This particular date was also chosen to commemorate the Swadeshi Movement that was launched in 1905 on the same day. Maneesh informs that Varun and Anushka will start touring India from August 7 to promote Sui Dhaaga that has been directed by Sharat Katariya of Dum Laga Ke Haisha (2015) fame. "We will release the first promotional element - for which our marketing and communications teams have worked tirelessly for over six months - of the marketing campaign on that day but not the trailer. We are excited to unveil something, which will be a fitting tribute to skilled entrepreneurs and craftsmen," he added.